The serious poplar disease Mycosphaerella populorum, commonly known in the operational poplar community by its former name Septoria musiva, occurs in North and South America, mainly east of the Rocky Mountains and east of the Andes Mountain range, respectively. The disease causes serious stem cankers in hybrid poplars in North and South America. In 2006 it was detected for the first time west of the Rocky Mountains at the Harrison Mills poplar stoolbed and archive facility in the eastern Fraser Valley near Agassiz in southwest British Columbia (BC), Canada, where it affected several hybrid poplar stoolbeds, several younger planting trials and adjacent hybrid poplar plantations. It was subsequently also discovered in the nearby 'Kilby' trial plantation of Populus trichocarpa. The Harrison Mills facility and the land on which the Kilby trial plantation is located are owned by Kruger Products, L.P.
P. trichocarpa, also known by its local name 'black cottonwood', occurs naturally in western North America from Alaska to California. The presence of Septoria musiva was definitively confirmed in a September 2007 publication. As far as can be determined, the disease is only present in the Fraser Valley, east of Vancouver. It is not known to be present anywhere else west of the Rocky Mountains. A voluntary quarantine on the transport of poplar was established in the province to prevent the disease from spreading further; its effectiveness will be determined over time. The inadvertent introduction of Septoria musiva into the Pacific coast region of southwest BC sparked a large genomics-based project at UBC in Vancouver. 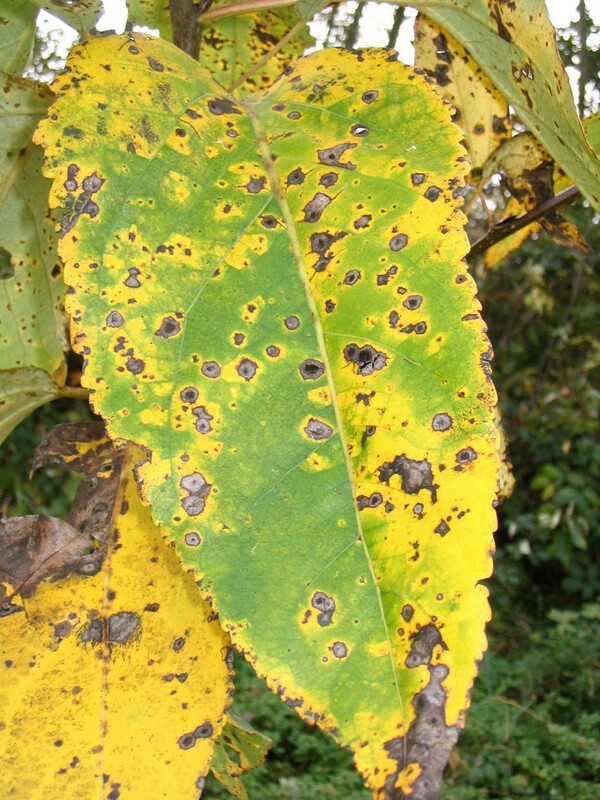 A breakthrough research paper was recently published by the UBC research team that reported on 'extra genes' in this disease organism causing the deadly cankewr lesions on poplar branches and stems. In the spring of 2007 the BC Government established a large provenance trial with black cottonwood collected years earlier from northern BC at 59°N latitude to Oregon (US) at 45ºN latitude, and longitudes of 128ºW to 121ºW. The trial was established before the presence of Septoria musiva was conclusively confirmed in September 2007. However, the trial location 'Kilby', in the eastern Fraser Valley near Agassiz, is in or near the 'epicentre' of the 2006-discovered Septoria musiva infection. 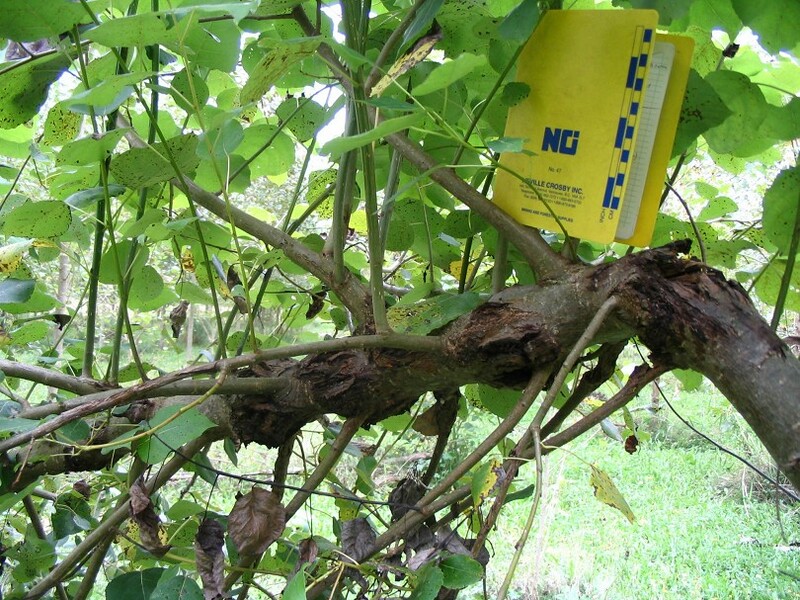 In 2010, during a field visit, the four-year-old trial showed several trees infected with stem cankers, in all likelihood caused by Septoria musiva. In March 2015 the trial was formally surveyed for the presence of the disease. Due to the size of the trees and the requirement not to damage them, no canker samples were collected for follow-up DNA analysis. The final report on the survey is still pending, but interim results show approximately 30% of trees affected in this trial, which is now in its eighth growing season. The BC Government generously provided $8,000 to conduct the survey at the 'Kilby' trial. Of great interest is that an earlier DNA analysis of Septoria musiva leafspot at the Kilby trial showed consistent differences between provenances across the four replications. A similar pattern has also been observed in the presence of stem cankers after the March 2015 survey; final results of this survey are pending (May 2015). In the spring of 2011 researchers at UBC established the so-called PopCan trial, at the Harrison Mills facility, also near Agassiz (BC), which was visited as the last stop during the IPS VI Fraser Valley Field tour in July 2014. The trial consists of P. trichocarpa from a range of provenances BC mid-latitude at 54ºN to California at 39ºN. Few, if any, of the California genotypes survived at the Harrison Mills site, resulting in an effective collection range of 54ºN to 45ºN latitude and 128ºW to 120ºW longitude. The trial is also located in the eastern Fraser Valley, almost adjacent to the 2007 Kilby trial, described above, and thus in or near the 'epicentre' of the 2006-discovered Septoria musiva infection. 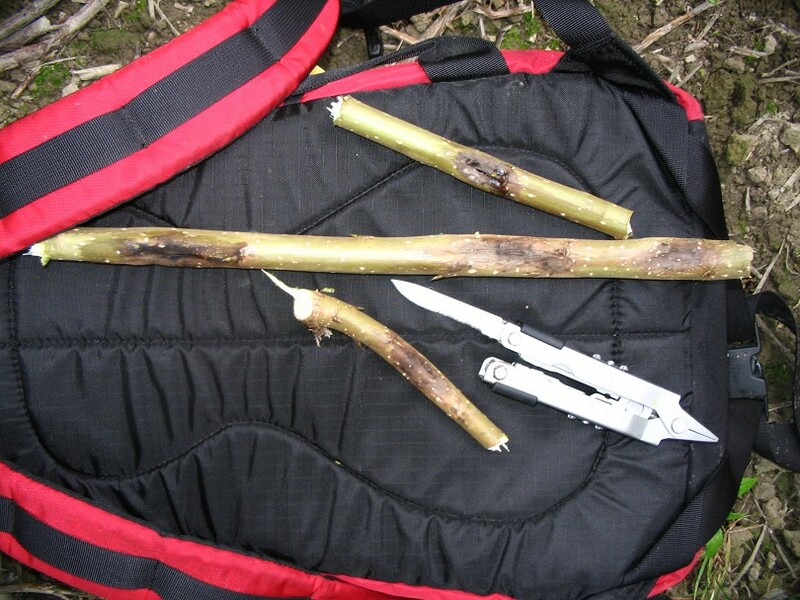 The survey was completed in the spring of 2015 and canker samples were collected from stems and branches for DNA analysis. The final report for this survey is also pending (May 2015); interim results show approximately 10% of the trees affected in this trial, which is now in its fifth growing season. The lower infection rate at this location may be related to its younger age and the fact that Kruger Products, L.P., the owner of the land where both trials are located, has actively cleaned up all affected stoolbeds and poplar plantations over the last seven years, thereby possibly decreasing the amount of disease inoculum. Subject to available funds, and provided the trial is still around in the summer of 2015, there are plans to collect leaf samples infected with Septoria leafspot for further DNA analysis. Since the genomes of all the trees at this PopCan trial are now known and the trial is affected by the Septoria musiva infection, it made sense to assess each tree for the presence or absence of Septoria stem cankers. There is substantial overlap between the Kilby trial and this trial; about 150 genotypes from the BC Government's collection are present in the PopCan trial.